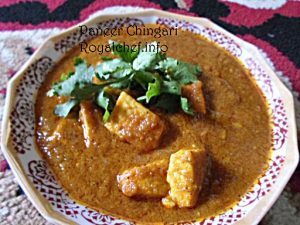 This is a step-by-step Recipe for making at home spicy and delicious Restaurant Style Paneer Chingari Tikka Masala, a thick and spicy Panner Masala Gravy. This is a rich and filling main course dish. which goes nicely with Parathas, Rotis, Puris or Rice. Cut the Capsicum in to 1” size pieces. Shallow fry the Paneer pieces slightly. Heat the Oil in a Kadai and add the Pepper Corn, Cloves, Bay Leaves, Ginger-Garlic Paste, Turmeric Powder and saute for 30 seconds. Then add the shred Onion, Capsicum and saute for 5 minutes on a slow flame. Add the Cashew nuts Powder, Red Chili Powder, Garam Masala, Salt, shredded Paneer and saute for a minute. 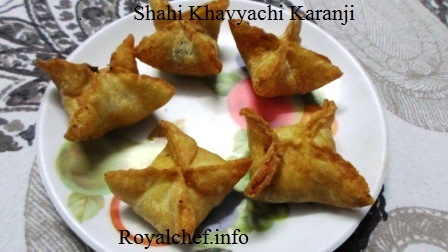 Garnish with chopped Coriander Leaves, Lemon Juice and serve hot with Paratha or Chapati.